Students can only apply to the ESF primary or secondary schools in the school of zone according to their Hong Kong residential address (not applicable to Discovery College and Renaissance College). Students from overseas can only apply to the school of zone for their expected area of residence in Hong Kong. Applicants from Hong Kong and applicants from overseas have equal status. Zones are adjusted from time to time in the light of changing numbers. 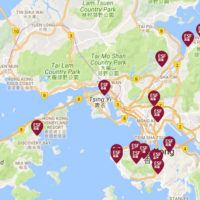 From Stanley Village and Chung Hom Kok to Repulse Bay Road through Repulse Bay and Deepwater Bay to the junction of Wong Chuk Hang Road., Nam Fung Road and Shouson Hill. Wong Nai Chung Gap Road, including Tai Tam Reservoir Road and Hong Kong Parkview. All of Stubbs Road and Mount Nicholson. Excludes Kennedy Road (which is part of Peak School). Happy Valley area: Tung Shan Terrace, Shiu Fai Terrace and the area south of Happy Valley, including upper Blue Pool Road, Sing Woo Road, Shan Kwong Road and all roads south of the bus/tram terminus at the junction of the Blue Pool, Sing Woo and Wong Nai Chung Roads. South Horizons in Ap Lei Chau. Lamma Island and south Lantau Island including Discovery Bay. Mid Levels including Old Peak Road, Tregunter Path, Conduit Road, Hatton Road, Po Shan Road, Robinson Road up to and including 70 on the even side and 95 on the odd side (the junction with Castle Road), Upper Albert Road, Albany Road, Garden Road and Cotton Tree Drive. Magazine Gap Road, May Road, Peak Road, Middle Gap Road, Coombe Road, Mansfield Road, Barker Road, the Peak area, Bowen Road and Borrett Road, all of Kennedy Road, Macdonnell Road and some Central District hotels. Discovery Bay (shared with West Island School)*, Mid Levels (including Kennedy Road west of the Hopewell Centre), Old Peak Road, Conduit Road, Robinson Road as far as Castle Road, some of Central District served by Glenealy School and the Peak. Tsing Yi Island. West Kowloon bordered by Ferry Street and Tong Mi Road to Lai Chi Kok Road, north of Boundary Street and west of Tai Po Road, extending west to Tuen Mun except for the area of Tsuen Wan that is part of Sha Tin College zone (see Sha Tin College). Causeway Bay, Happy Valley including Tai Hang Road, Wong Nai Chung Road, Blue Pool Road, Wan Chai, Stubbs Road, Queen’s Road East, Kennedy Road (east of Hopewell Centre), Jardine’s Lookout, North Point, Shaukeiwan, Chai Wan, Shek O, Stanley, Chung Hom Kok, Repulse Bay, Deepwater Bay, Tai Tam and Shouson Hill. Part of Central District, Sheung Wan, Western District, Kennedy Town, Mount Davis, Pokfulam, Aberdeen, Ap Lei Chau, Discovery Bay (shared with Island School)* and the outlying islands. The west side of Nathan Road from Tsim Sha Tsui to Boundary Street excluding areas south-west of Cherry Street and Ferry Street (except The Hermitage), the area north of Boundary Street, including Kowloon Tong and Caldecott Road. Extending westward along the Lung Cheung Highway including Tsuen Wan and Tuen Mun. Clearwater Bay/Sai Kung area from Choi Hung to Clearwater Bay Road and Sai Sha Road from Tai Mong Tsai up to Sai Keng Tsuen, and the Sai Kung Country Park. Yau Tong and Tseung Kwan O area between Hang Hau and Tseung Kwan O tunnel; Lam Tin. Areas south-west of Cherry Street and Ferry Street, the east side of Nathan Road to Boundary Street (excluding The Hermitage which is Beacon Hill School), including Yau Yat Chuen, then eastwards to the Choi Hung interchange. Areas south of Clearwater Bay Road, including Diamond Hill, Kowloon Bay, Telford Gardens, Ma Wan, Tung Chung and Laguna City, but excluding Tseung Kwan O.
Sha Tin, all of the New Territories north of the Lung Cheung, Caldecott and Tai Po Roads, the Ma On Shan side of Tolo Inlet and Three Fathoms Cove, Symphony Bay to and including Nga Yiu Tau Tsuen and Tsing Yi Island. Kowloon Peninsula (excluding areas south-west of Cherry Street and Ferry Street, see Island School) as far west as Ferry Street , Tong Mi Road and Tai Po Road and as far north as Lung Cheung Road area (see Sha Tin College), Clearwater Bay Road, Tseung Kwan O and Sai Kung up to and including Sai Keng Tsuen, Kowloon Bay, Kwun Tong and Tung Chung. Sha Tin and the New Territories, except Sai Kung, and Clearwater Bay (see King George V). Area north of Lung Cheung Road, Piper’s Hill, Broadcast Drive and Beacon Hill (except for One Beacon Hill which is King George V), Tsuen Wan (to the east of KCR West Rail), except areas from Mei Foo to Tuen Mun which is part of Island School.